Use the Xscape instrument to calculate the area. Use the information for detailed consumption planning of fertilization, seed and soil and more. 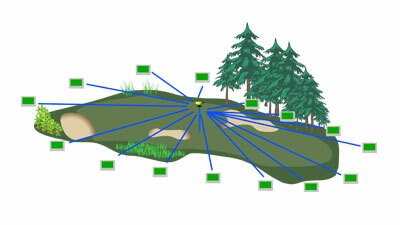 The Xscape is also excellent for accurate distance measuring. Place the monopod centre staff or tripod with the Transponder T3 mounted in the centre of the area. 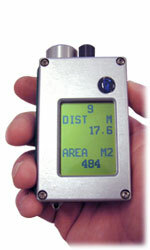 Walk around the surface and measure the distance from different positions to the transponder. The total area is calculated by the Xscape and presented in ft2 or m2 in the graphical display. Measure from up to 64 different points on each area.